Choosing the Right Mouthwash: Are All Mouthwashes Created Equal? Walking through the dental aisle at the drugstore can be overwhelming, especially when it comes to choosing a mouthwash. 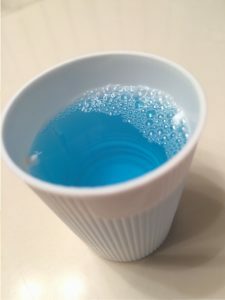 Although mouthwash is a common household item, knowing which mouthwash works best for you is critical to having good dental hygiene. With so many products on today’s market, it can be difficult to choose the best mouthwash for your needs. Let us help you decipher the differences between types of mouthwashes, so you can walk with confidence through the dental aisle the next time you need to make a purchase. If you need a mouthwash to prevent bad breath, plaque build up, or gum disease, an antibacterial mouthwash will do. These mouthwashes help to kill the bacteria in your mouth that can cause bad breath, plaque and gingivitis. In fact, antibacterial formulas can reduce bacteria counts in the mouth by an average of 75 percent. Listerine and other products that contain thymol, eucalyptol, methyl salicylate, and menthol are the only over-the-counter antibacterial mouthwashes approved by the ADA Seal of Acceptance for effectively reducing gum disease and plaque. For those individuals who are more prone to cavities or who do not regularly drink fluoridated water, a fluoride mouthwash will serve you best. Fluoride is a naturally occurring mineral found in water that helps to protect teeth by strengthening enamel and making it more resistant to decay. Although fluoride mouthwashes are proven to prevent cavities, they do not help to prevent gum disease. Your dentist may prescribe a prescription mouthwash if you have gingivitis or gum disease. These mouthwashes contain much stronger antibacterial properties than the ingredients in the over-the-counter brands. Because a prescription mouthwash can stain teeth, it is imperative that you continue to remain under the care of your dentist while using it. If you have any questions or concerns about the proper mouthwash for you, make an appointment today with your Longmeadow dentist. Intentionally engaging in practices which would force a dentist, who does not have a participating provider agreement, to accept discounted fees or be bound by the terms and conditions set forth in the participating provider contract. Some examples of inappropriate fee discounting practices include: issuing reimbursement checks which, upon signing, result in the dentist accepting the amount as payment in full; using claim forms which, upon signing, require the dentist to accept the terms of the plan’s contract; issuing insurance cards which state that the submittal of a claim by a dentist means that he or she accepts all terms and conditions set forth in the participating provider contract; and sending communications to patients of nonparticipating dentists which state that he or she is not responsible for any amount above usual, customary and reasonable fees as established by the plan.